Grimpa Steakhouse at Mary Brickell Village "Brazilian Steakhouse"
GRIMPA BRAZILIAN STEAKHOUSE where you can taste the best flavors! 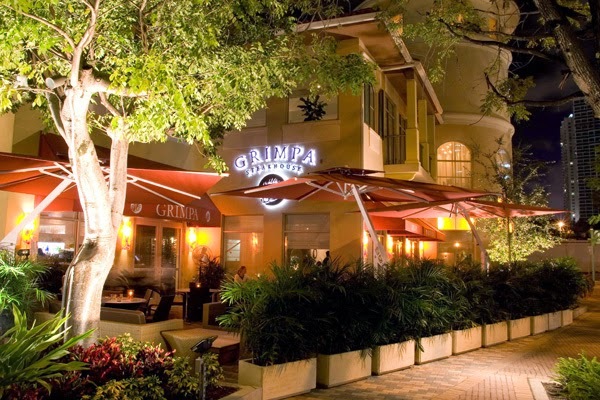 Prime cuts - which bring out the best of the meat, careful and distinguished service, and outstanding side dishes, make Grimpa Brazilian Steakhouse a unique restaurant. 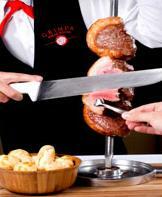 Enjoy the best of the Brazilian "Churrasco" tradition in a classical environment. Taste and discover the pleasure of the Brazilian spices. At Grimpa Brazilian Steakhouse we offer you 15 delicious types of beef, chicken and fish, in a continuous service system which includes: Beef Ribs, Boneless Chicken, Boneless Rib Eye, Flank Steak, Lamb Shank, Pork Chops, Pork Loin, Pork Sausages, Prime Rib, Sirloin, Tenderloin, Top Sirloin, Noble Top Sirloin, Baby Beef and Salmon. You can also help yourself to our salad bar, which offers a great variety of fresh food, including vegetables, fruits, antipasto, cheese, and many incredible dressings. Moreover, a huge diversity of hot side dishes are available on a buffet, and some of them, as french fries, breaded banana and our traditional cheese bread among others, are freshly prepared and served at your table. In Brazil we call GRIMPA the branches of a special type of pine tree, tha "Araucária", very common in the southern region. The "Gauchos" that live in this region traditionally used these dry branches to start their campfires and prepare the "CHURRASCO" while they were out in the "Pampas" with their cattle. Naturally, meat was the main component of these meals. These Araucárias also have an interesting mythical story. A famous tale from southern Brazil tells the story of a big blue bird whose favorite food was the Araucária nut, every fall this bird would bury the extra pine nuts to eat later that winter. But many of these nuts were forgotten buried and grew up to become these incredible and tall trees. The Gauchos of southern brazil are also the inspiration for GRIMPAS's style of service, the "Rodizio". 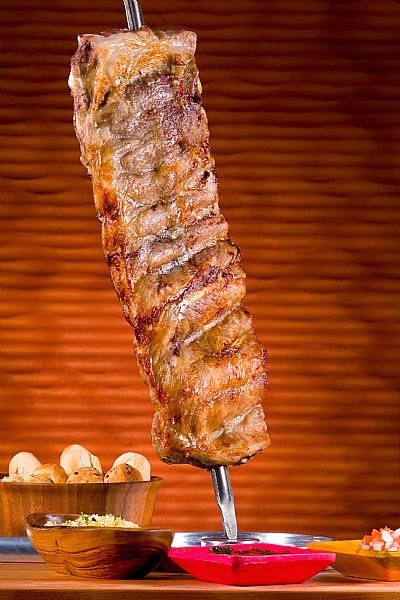 Moving about between the tables with their large sword-like skewers they will offer you a taste of this delicious memory of the Pampas. 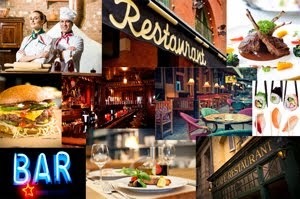 Restaurant.com GRIMPA STEAKHOUSE Gift Certificates: Save up to 60% off your next meal! At Grimpa's Brazilian Steakhouse. Over 500 wines from around the world.